a sun-soaked Garage-Pop gem that will satisfy anyone's sweet tooth. Simple, spare, haunting, instantly memorable pop songs thatll leave you glad to be alive. 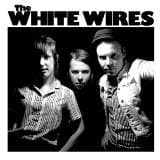 An from White Wires refers to WWII as the bands "Dirtnap" album, in that its a little more (for lack of a better term) "punk" and a little less (for lack of a better term) "garage" than their debut. The tones are a little brighter, the tempos a little faster, the songs a little (if this is possible) catchier than WWI. Much like other recent Dirtnap releases like Mean Jeans On Mars, and Something Fierce's Don't Be So Cruel, WWWIII finds an older, more established band turning in a slightly more "mature" album. They've turned down the irony and turned up the sincerity. Gone (for the most part) are the stupid (in the best possible sense) built-in-punchline party songs that were all over their first 2 albums. In their place is confident, heart-felt pop that's just about the catchiest thing you've ever heard. This is a rock solid album that really hits a stride as it goes along. 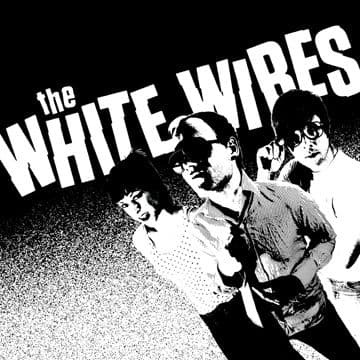 One thing we've always admired about this band is how each of their albums are very distinct from one another, but are unmistakably, undeniably The White Wires. The first record was the "garage" album, the 2nd was the "punk" album, this one is the pop masterpiece. Get ready. they're back with 3 of their best songs yet, a heterosexuality-affirming hit on the A-side, backed with 2 of their trademark wired-up geeky garage/pop jams on the flip!